Squeeze the bottle and the bowl fills up with water for your buddy to quench his thirst easily! 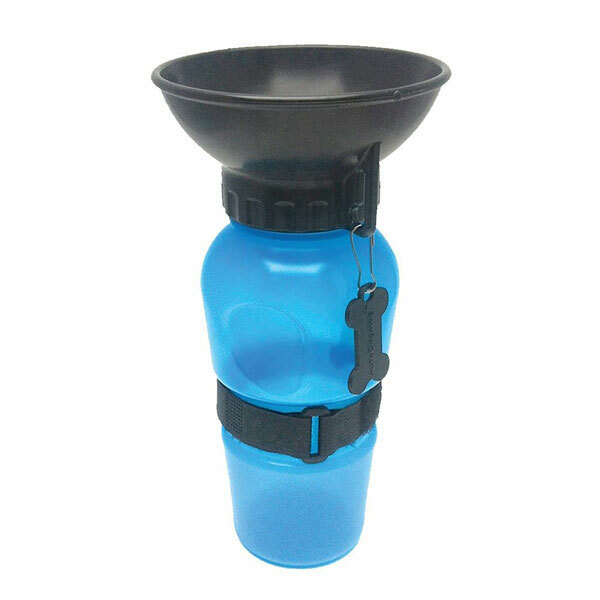 Squeeze again and the left over water returns to the bottle so none is wasted while you're at the park or on a hike. Fits in standard car cup holder. Leak tight, BPA free, dishwasher safe and Made in the USA. 20 oz.